I acquired these M6 Grenade Launching Cartridges a couple of weeks ago from a friend who is liquidating much of his collection. 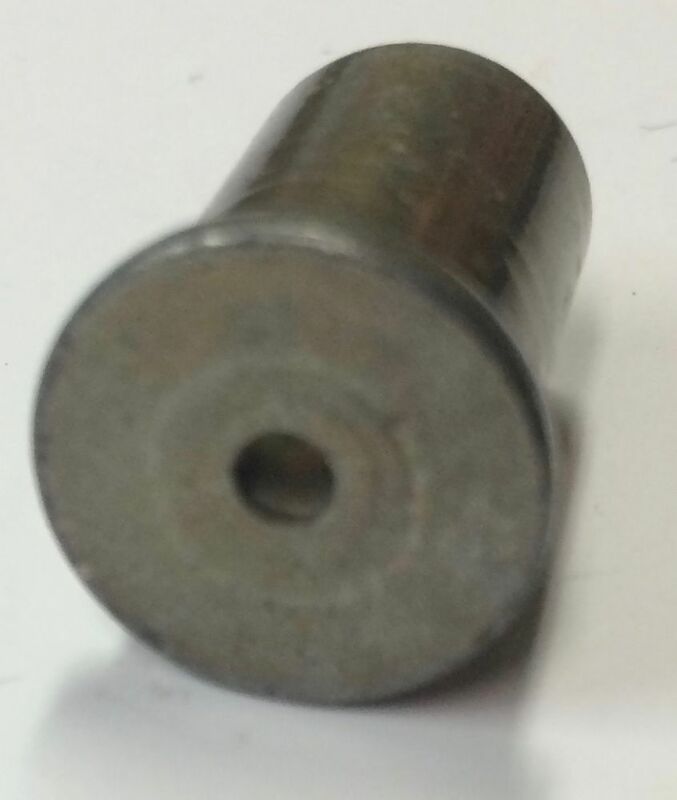 Included with the cartridges is an Auxiliary Grenade Cartridge, M7. These were sometimes used in combination with the Grenade Launcher, M8, and enabled extra range for a grenade to be launched. I'm told it added another 100 to 150 yards, and was inserted into the end of the launcher, and ignited by the M6 cartridge blast with the addition of a paper wad that was placed between the M7 and the muzzle. I was surprised not to find information about them anywhere on the net, though perhaps others might know of an online reference that I didn't see. There's nothing I could find written about them on this website to date, so I decided to post what I've learned. I did find that the CCNL index indicates an article was written about them in issue 271, dated 5-1-1999, which was before I was a member, and I don't have the complete newsletter set. Perhaps someone here could add more information that might have been mentioned in that article if I haven't covered it here. I found reference to the M7 Auxiliary Grenade Cartridge in Larry Ruth's War Baby II and III, on pages 684 to 686, page 703, and page 1430. The M7 cartridge itself is a .45 caliber first draw steel shell casing, and was loaded with 20 grains of powder, and sealed with a lacquered paper wad, which on my example is a red color. The cartridge ended up being used with launchers on the M1903, M1 Garand, and to a lesser extent, the M1 Carbine. Mr. Ruth's research indicates that the Carbine could withstand about 7 firings with the booster cartridge before the stock would break. It also was not intended for firing from the shoulder. Ruth indicates Carbine manuals were updated to state that the cartridge should only be used in emergency situations, though I have not yet located that update in my WWII manuals, but I have not searched through the various supplements C1, C2, etc. 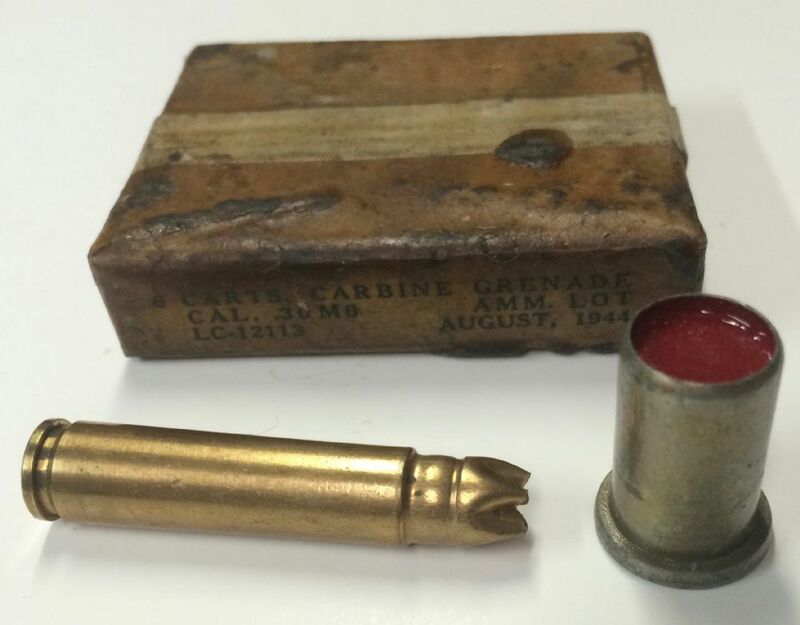 I did find a reference in a 1948 edition of Guidebook for Marines, which states, "The M7 auxiliary grenade cartridge should be used with the carbine only in cases of emergency, as the carbine stock is not strong enough to withstand the added shock." The M7 apparently had several nicknames. The CCNL index shows that the previously mentioned 1999 article called the cartridge “The Pill.” Larry Ruth calls it a “Vitamin Pill.” The person who I acquired it from indicated he had spoken to veterans who called it a “spinach can,” and also a “vitamin tab.” Despite its various edible monikers, let’s assume these are not suitable for human consumption. If you have a grenade launching sight check the case for grenade launching instructions and ranges. It confirms everything you posted, plus give distances with and without the M7. If you do not have the document I will copy and mail it to you. Thanks for your reply. I don't have a grenade launching sight, and would be very interested in seeing those instructions. I'll put it on the morning stage. Edited by inertord, 18 August 2018 - 09:52 PM. Thank you very much for posting these. As always, your library and knowledge on these types of ordnance items is superb. I had a bunch of these . Sold them all a couple of years ago . Never worked up the nerve to try one , though . The stage arrived at my stop today. Thank you very much for making the photocopy for me. Much appreciated!